I have just on a whim booked my eighth Picosure session. I firmly believe that this will be my last session. I'm actually not even sure if I need it but I think it will be the one that blasts what's left of the ink. I am excited and weirdly nervous about this. The session is scheduled for 2 Sept at 9.45 (GMT+1). Removing the tattoo has been the goal for almost 3 years now. It's kind of weird knowing that soon it will actually be gone. The tattoo turns 16 on 19 September. I had hope this would not happen, I now think it will but I expect it'll be a shadow of itself, if even visible. Typically you don't see fading until about a month after the session. It will be interesting to see what this does / doesn't look on 19 September. Looking at the above image, I actually wonder if I need the session. To me it's still quite visible but I'm not sure if others will notice it. 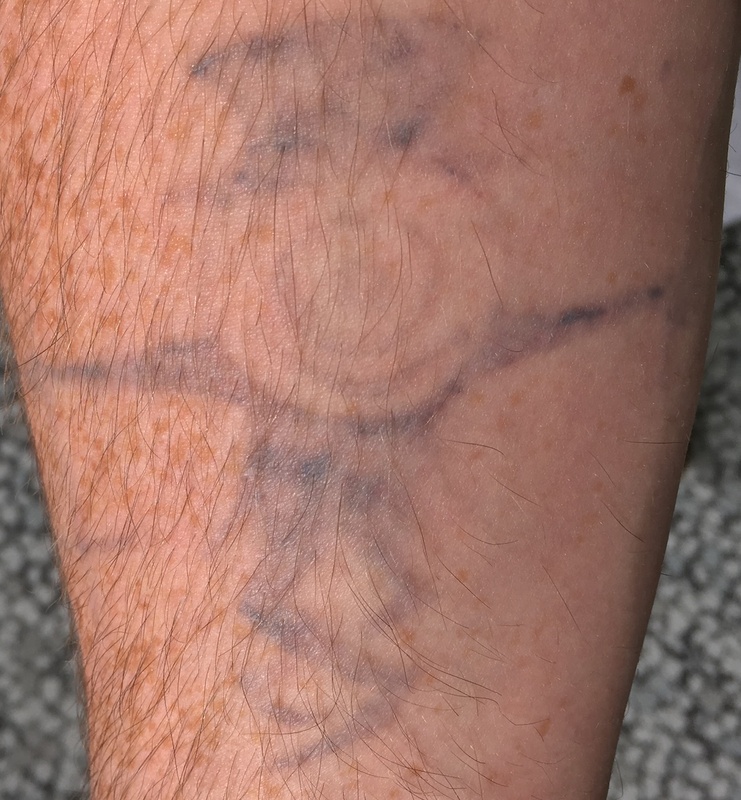 I spoke at a work conference 2 years ago, my hope was the tattoo would look like that for the conference. I'm speaking at the same conference in November, maybe this year it will actually be gone. I'm going to take a photo of my shaven arm, as is tradition, on Saturday morning. I'll probably not post on the day but will keep track of healing and recovery. My plan is to get a photo updated on 19 September to see what 16 looks like.